Saint Patrick and Saint Toothless | Where's my backpack? 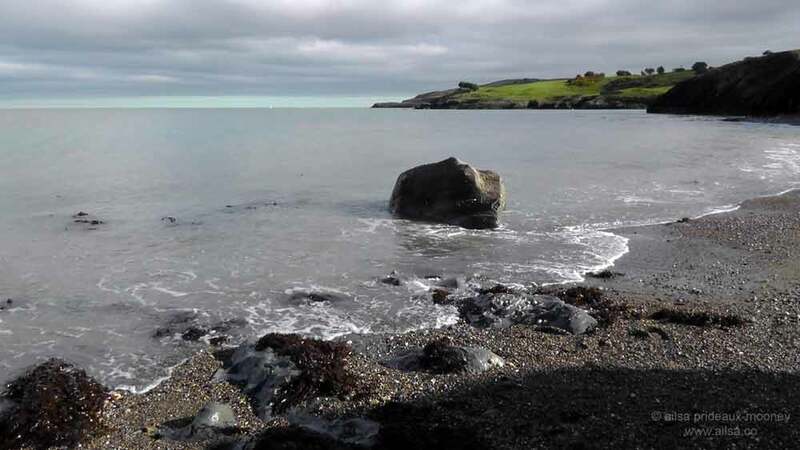 Just south of County Dublin in Ireland lies County Wicklow, often referred to as the Garden of Ireland because of its stunning landscape and coastline. In keeping with the natural beauty of the area, the name Wicklow is thought to come from the old Norse Víkingalág, anglicized to Wykynlo and meaning Viking meadow, which conjures up images of burly men in scary hats romping across wildflower-strewn fields. However, the name for Wicklow in Irish, Cill Mhantáin, bears no relation whatsoever to its Viking name. It translates as Church of the Toothless One and its origin dates back to St. Patrick’s arrival in Ireland. I was intrigued, so this St. Patrick’s Day weekend I travelled down to Wicklow town to find out more. 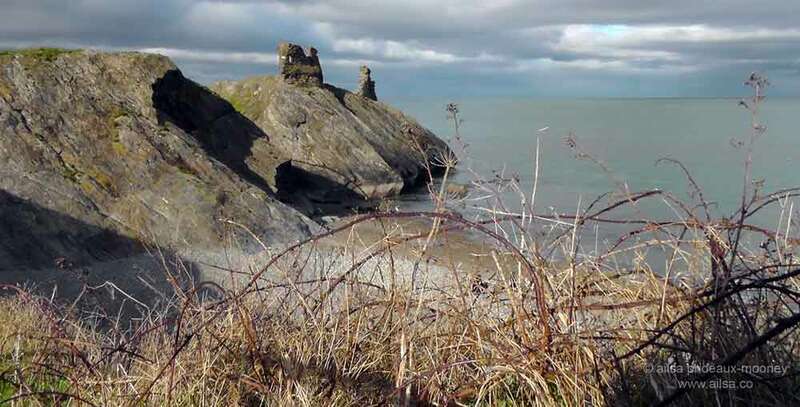 Just south east of the town centre, I followed Castle Street towards the coast and after a short distance found a wide open stretch of land leading to the ruins of Black Castle, perched ominously on a rocky promontory overlooking the sea. Clambering up the stony steps gave a dramatic view of the surrounding water and countryside for miles in all directions; it was an ideal spot for fortification against attack. The castle was built after the Norman invasion of 1169 and suffered repeated attacks from local clans until it was finally razed in 1580. 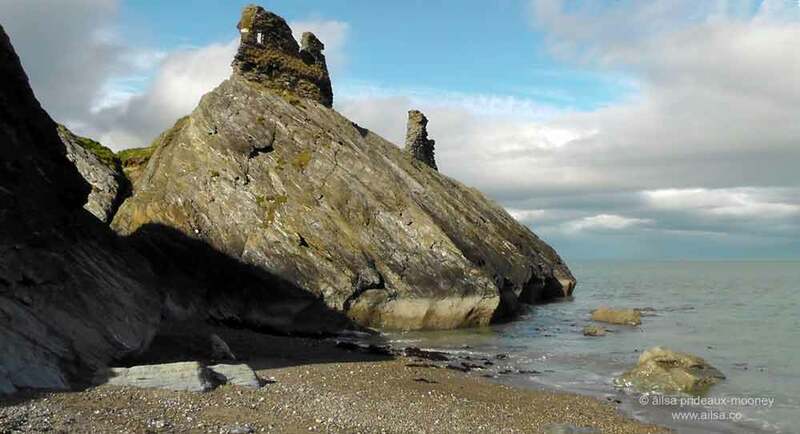 Its ruins still stand guard over the Wicklow coast today, but if you look south from the castle, you’ll spot a small beach that played a large a part in giving Wicklow its Irish name. Inver-dea at the mouth of today’s Vartry river was a much used port in early Ireland, and this beach, Travailahawk beach, is where many an early visitor to Ireland would disembark. When St Patrick was a boy, he was taken to Ireland as a slave. He escaped his captors and fled the country – some believe he departed from this very beach. 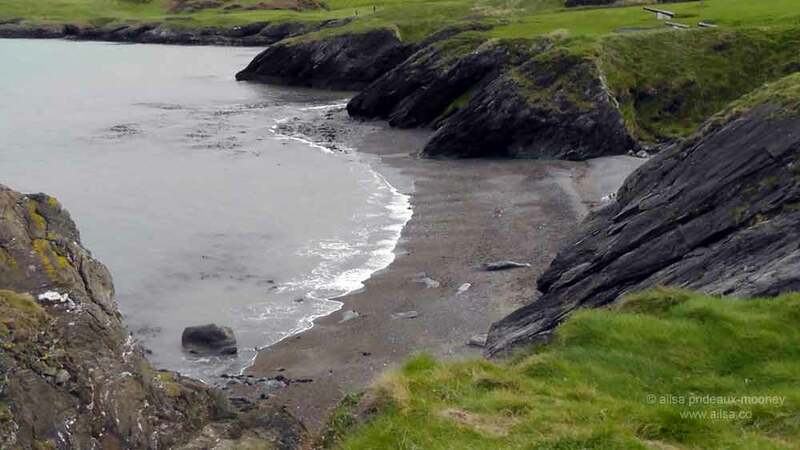 When he returned to Ireland years later, on a mission to spread Christianity throughout the land, he chose Travailahawk beach as the place to begin his journey. However, St. Patrick and his followers were met with a stony welcome – and I mean that literally. The local pagans picked up stones and started winging them at the would-be missionaries and in the debacle, one of Patrick’s followers had all his front teeth knocked out. Patrick bid a hasty retreat, sailing north and electing instead to begin his missionary work in Antrim in Northern Ireland. The poor old monk who had lost his teeth was given the nickname Manntain (toothless one), and despite all odds, he returned to Wicklow and set up a church. The church and the toothless saint live on today in Wicklow’s Irish name. Now that’s what I call dedication. Happy St. Patrick’s Day! This entry was posted in Europe, Ireland, Photography, Travel and tagged history, humor, ireland, photography, st patrick's day, travel, writing. Bookmark the permalink. lovely story, and very fitting for today. Glad you enjoyed it, Joan, I can’t help but flinch thinking about how painful it must be to get your teeth knocked out. Yikes! Perseverance! Great shots. Thanks for the info. Great post! Happy St. Patrick’s Day! Great story. Happy St. Patrick’s Day! Glad you enjoyed it. Hope you’re having a wonderful Paddy’s Day! 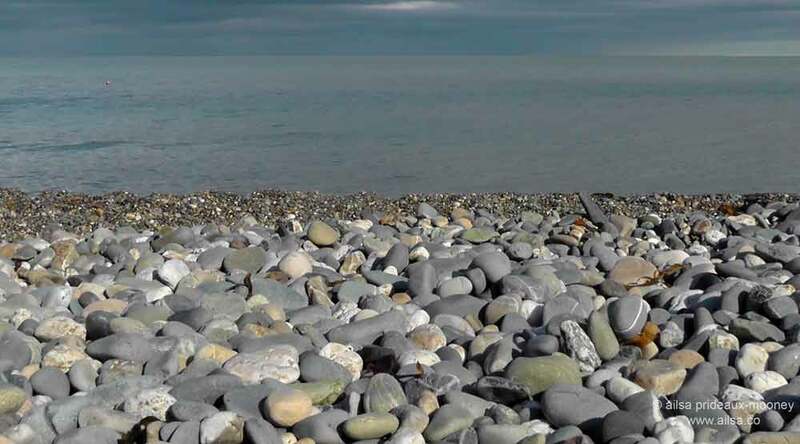 Great –Co Wicklow gets a mention! To many, Ireland is just Dublin and Galway. (1/2 of con jamón spain is from Wicklow). 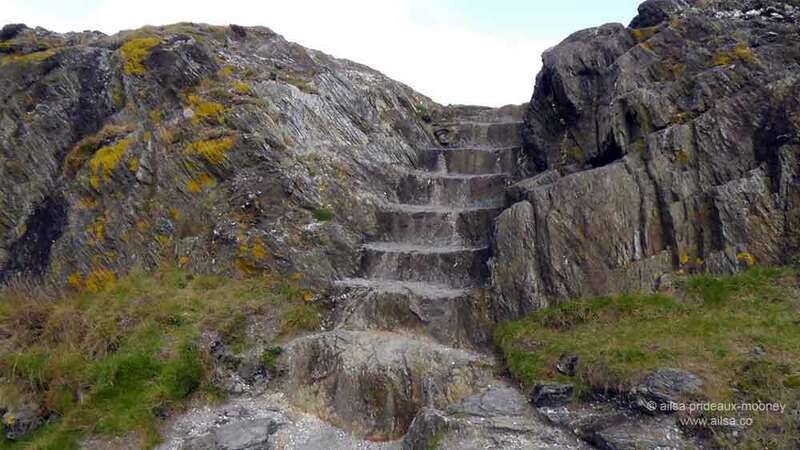 Those steps – fascinating and beautiful. Nice photos – the last 2 nicely done. So beautiful … I’m so blessed that I was able to live and work in Ireland for nearly 11 years in total. I didn’t realise you were in Ireland for so long, viveka. Whereabouts were you? I live one year outside Dublin in Dún Laoghaire and 10 years in Belfast. Ooh, both great spots, I hope you got to travel around the rest of the country while you were here too. Did you make it over to the west coast? Donegal, Galway, Clare? They’re all so beautiful. 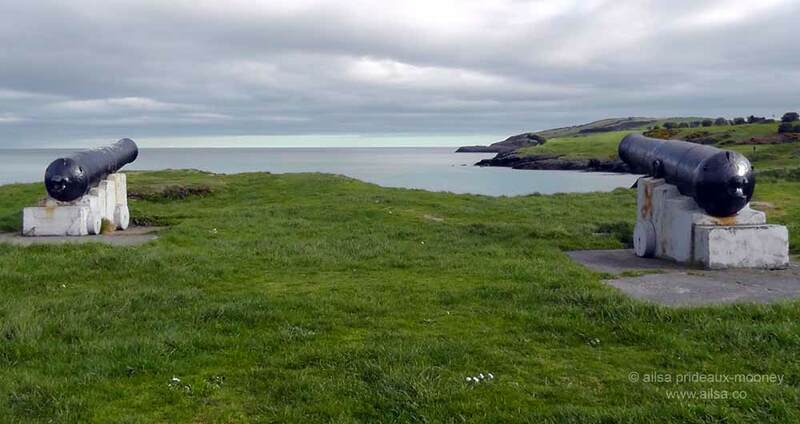 Yes, I visit most parts of the Republic – my favorite spot is Kinsale …. and Donegal, just love it. Thanks Jude, the Wicklow coast is really gorgeous, and the sun even came out to play for a brief moment while I was there! Always a bonus Ailsa. Are you from Ireland then? I have only been there once. Seems like an interesting city but the traffic was horrendous!! Thanks so much for all this info. Had no idea! Glad you enjoyed it, Rusha, Happy St Patrick’s Day! Those are the cutest little black castle ruins I ever saw, Ailsa. 🙂 Your photos in these subtle shades are exceptional. Happy St. Paddy’s! This was so interesting. I wondered if you’d do some kind of green blog post, but this is far better. (Though I see that Irish grass is green green green.) Amazing coastline photos. I really enjoyed reading this story. The rocks and coastal images help to envisage the plight of St Pat. 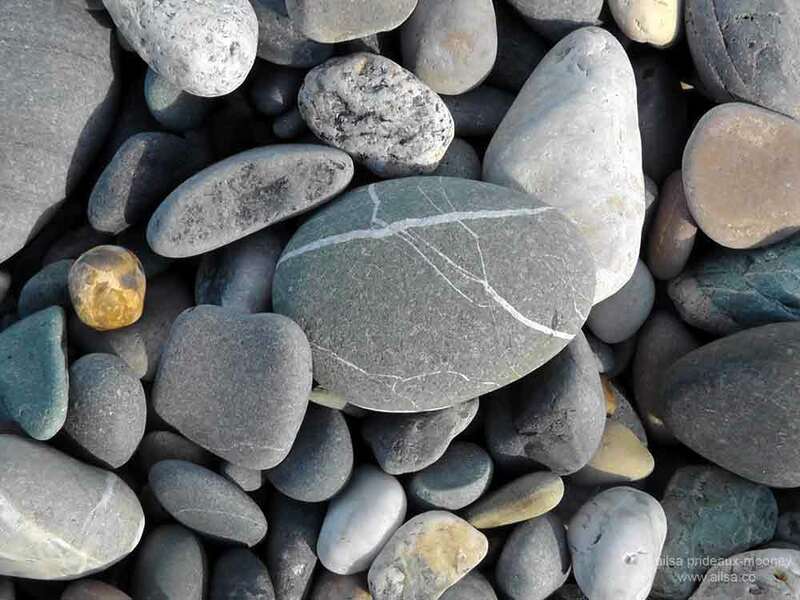 I know what you mean, Francesca – walking across that stony beach I couldn’t help imagining how much it must have hurt to have your teeth knocked out by a hurtling stone. Yikes! Great story! I’ve spent some time exploring Cashel and reading about the start of the journey was very interesting and entertaining! Thanks so much. I’d love to retrace her steps around County Wicklow. Thank you for the story and the pictures! Oh, I miss Ireland. It’s so beautiful!! I’d never heard that story before- funny how history changes depending on who’s telling it! Ailsa, I am just catching up with your posts. Lovely to hear that you were in Wicklow. Next time, you must come south and squeeze in a visit to Sherkin Island!